Campers will have a chance to show off their talents and abilities at the Steele Country Fair August 18th through the 23rd. This will allow the campers to perform during one of the biggest events in the area. The Steele Country Fair was chosen as one of the top 200 events in North America by the Special Events Directory and Events Business News. 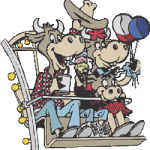 You can get more information about the Steele County Fair by going to their website and getting directions, information about events and Grandstand Concerts. Campers from Camp Pillsbury will perform Tuesday the 18th at 5&7 PM and on the 19th through the 23rd at 3,5&7 PM on their own stage located in front of the 4H Building. Different program groups will be giving performances at different times. Be sure to stop by to see the assortment of shows including musical, magical, singing, dancing, theatre and more. This is where campers will have a chance to show off all they have learned and participated in while staying at Camp Pillsbury. You do not want to miss these one of a kind performances! All campers of Camp Pillsbury will have full arm band access all week to the attractions and rides. This will allow campers to get a real feel for the Minnesota and Owatonna Community. There will be plenty of attractions, food, livestock, and vendors on site for campers to explore and enjoy. Gold Star Amusements will have an assortment of exciting rides on the Midway for the campers to enjoy with unlimited access to with their arm bands. There will be vendors from all over the country presenting their assortment of products, services, and souvenirs which will all be available for purchase. 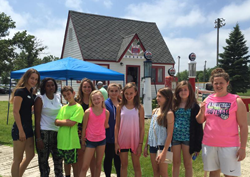 Campers will also have full access to the Village of Yesteryear and Muckle Museum which both give a historical view of the fair and the surrounding community.